*Ribbon cutting ceremony will take place promptly at 11 a.m. The Dunwoody Perimeter Chamber always loves the opportunity to support and recognize our Chamber members. 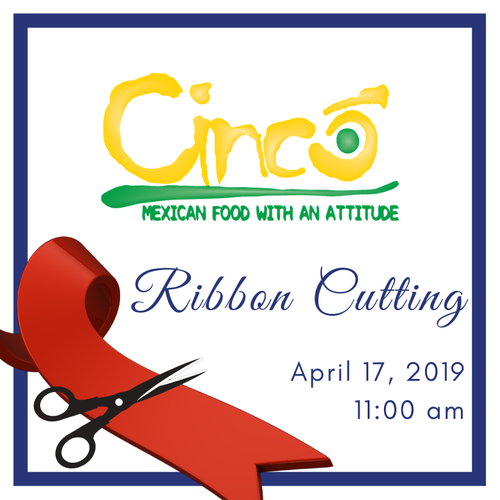 Please join us as we celebrate Cinco Mexican Cantina Perimeter with a ribbon cutting on Wednesday, April 17, 2019, at 11 a.m.
FREE and open to the public. Registration is strongly encouraged. Monarch & Margaritas & Mules at the Dunwoody Nature Center on April 27!